Thinking about taking a class to connect with Spirit? Wondering what are the main differences between a few of the offerings? The main difference between the Spirit Guides and Angels class and the Mediumship Training Program is that the Spirit Guides and Angels class guides you through the process of communicating with your own Spirit team of Spirit Guides, Angels and Ascended Angels/Masters - teaching you about each group, then giving you the tools to begin directly connecting with and receiving information and guidance from each one. The Mediumship Training Program has a more expanded focus, and it teaches you how to communicate with all of those in Spirit for yourself and others in both professional readings and casual settings. In the mediumship training program, you learn the ins and outs of working with all of those in Spirit, where we give you the tools you need for safety, identification, receiving information and how to use your intuitive abilities to do so. Then, we teach you how to deliver that information ethically and professionally to others, both within a formal reading and in a casual setting. While Spirit Guides and Angels can be considered the Level 1 to the Mediumship Training Program, it's not a prerequisite for it. If you already have some knowledge of Spirits (even just in personal encounters with the OtherSide), if you have already sensed those in Spirit, felt their presence, feel you have comfortable knowledge in the general Spirit World - then many people do choose to consider taking the Mediumship Training Program as their first class and still have tons of success in connecting safely and clearly before graduation day. The benefit to taking the Spirit Guides and Angels class is that while the Mediumship Training Program gives you all the tools you need to communicate with all those in Spirit - your Spirits and Other Spirits - it does not go into such intricate detail of building the relationship with your Spirit Guides and Angels. 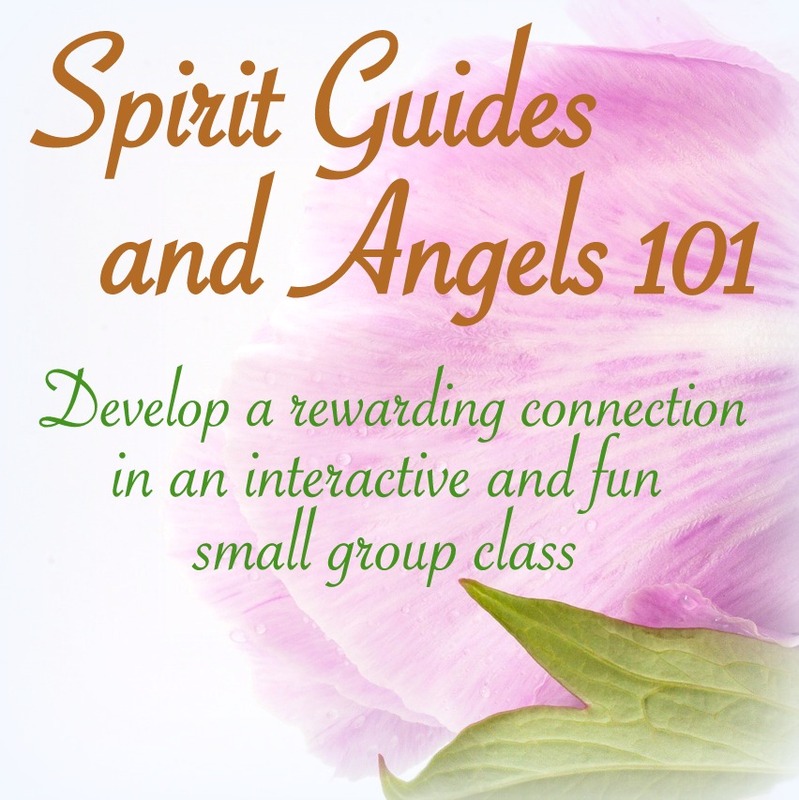 The Spirit Guides and Angels class really focuses on this - and personally, my relationship with my own Spirit team is invaluable and I consider it a foundation to all of the rest of my work in the Spirit world. While we do connect you with one Spirit Guide to work as you develop in the MTP program, the Spirit Guides and Angels class builds a core foundation for your personal relationship to Spirit, that you can continue to develop - either before or after you take the mediumship training class. In some cases, those who have already taken the Mediumship Training Program, go back and take Spirit Guides and Angels, to work on building their relationship with their inner team of Guiding Spirits for more support, guidance and insight on their own life. Mediumship Training Program is to communicate with all those in Spirit (including Spirit Guides, Angels and Loved Ones) for yourself and others. The curriculum and information is completely different for each class, so if you take both, there will be no repeat material. The Spirit Guides and Angels class is scheduled and offered in such a way that you could take the mediumship training program right after you complete the Spirit Guides and Angels class, and with both, really have a complete relationship foundation for working with and within the entire Spirit World. How Can I Get My Spirit Guides to Help Me?